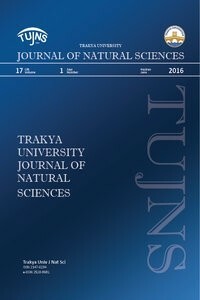 Trakya University Journal of Natural Sciences (TUJNS) publishes studies with strong scientific content in fields of Biology, Biotechnology, Environmental Sciences, Biochemistry, Biophysics, Fisheries Sciences, Agriculture, Veterinary and Animal Sciences, Forestry, Genetics, Food Sciences, Basic Medicine Sciences in order to make articles available to a wide range of scientists at international level. The journal provides researchers a fast and fair environment to submit, improve and publish their studies. The journal is not only free of any kind of submission and publication charge but also it allows free online access to published articles. Trakya University Journal of Natural Sciences (TUJNS) publishes experimental and theoretical contents in the form of research articles, short communications, technical notes, reviews, letters to the editor and book introductions in fields of Life Sciences. The main feature of publishing policy is the contribution to science. Studies for which no scientific contribution decision was reported by reviewers are not published.